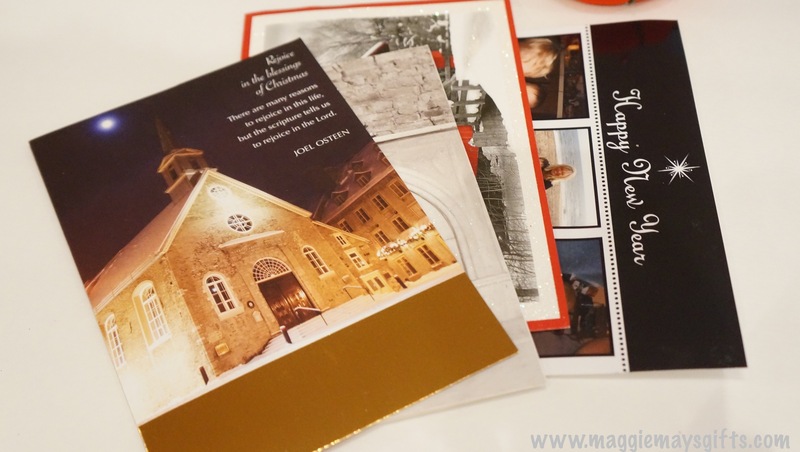 Now that December is here, the holiday cards are beginning to trickle in. 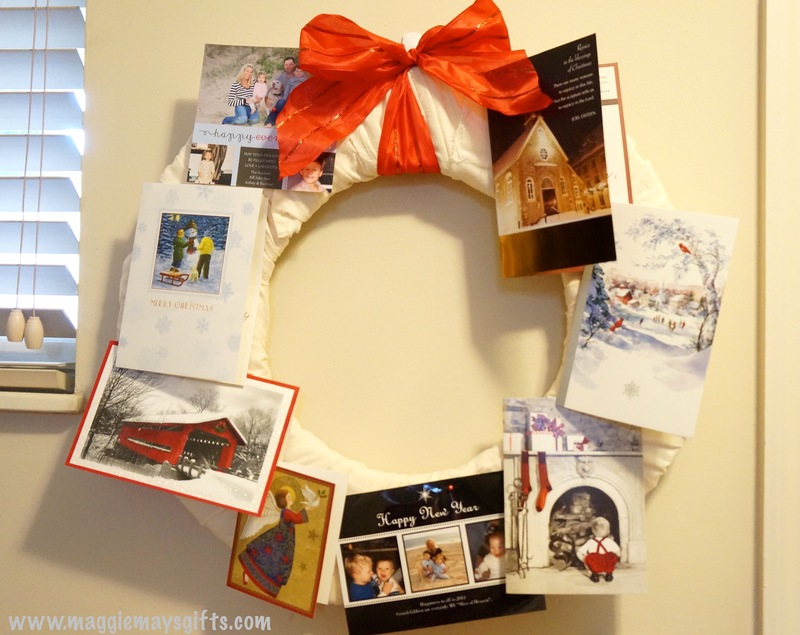 It is always so fun going to get the mail during the holidays because cards, letters, and photos from friends and family begin arriving. I feel like every year I try to come up with a place for all the cards. This is tricky because space is limited but we want them to be displayed so we can enjoy them all season. This year I finally came up with a perfect solution for us. It is a wreath that is used to hold the cards. 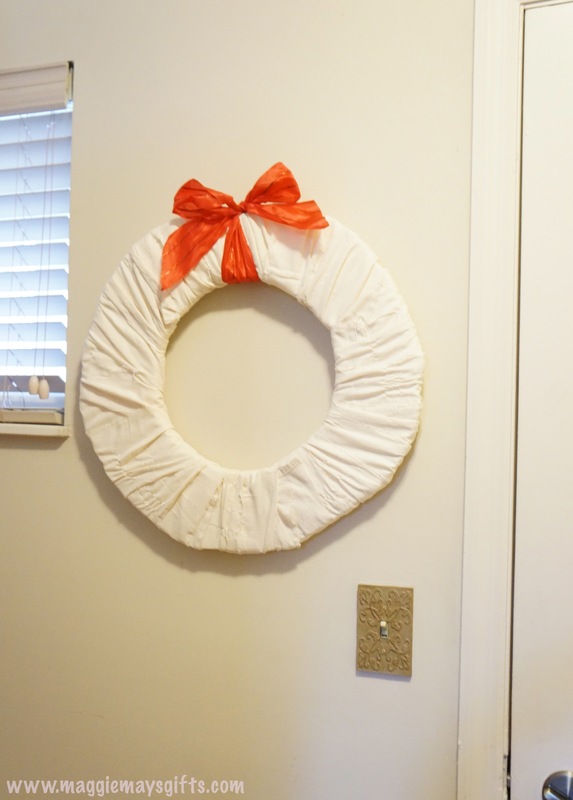 First, you need a Styrofoam wreath. They sell them at any craft store. 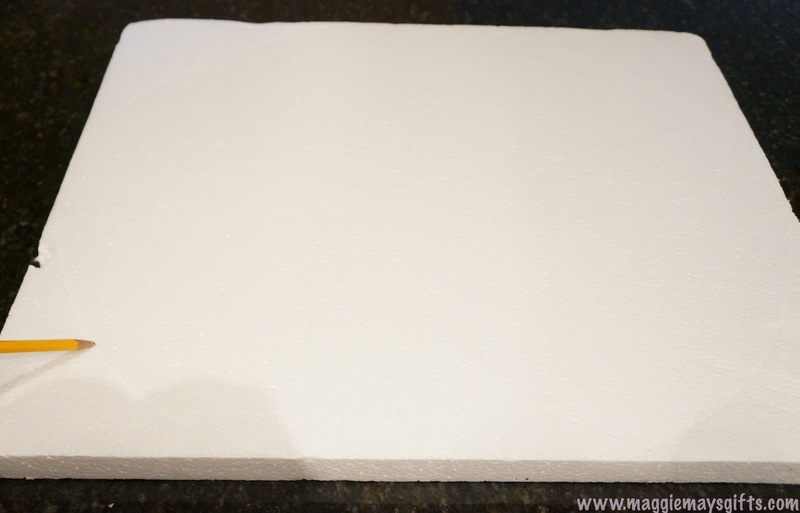 I happened to have a piece of foam that I wanted to use up, so I’ll share how I made mine. If you had any gifts or purchases shipped recently, sometimes they are shipped with these foam pieces. 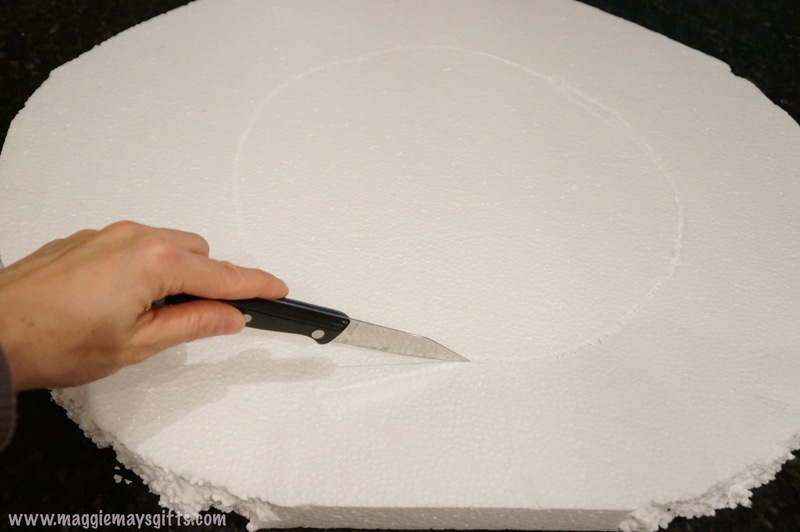 If you’re using a sheet, draw a large circle on it and cut it out with a sharp knife. 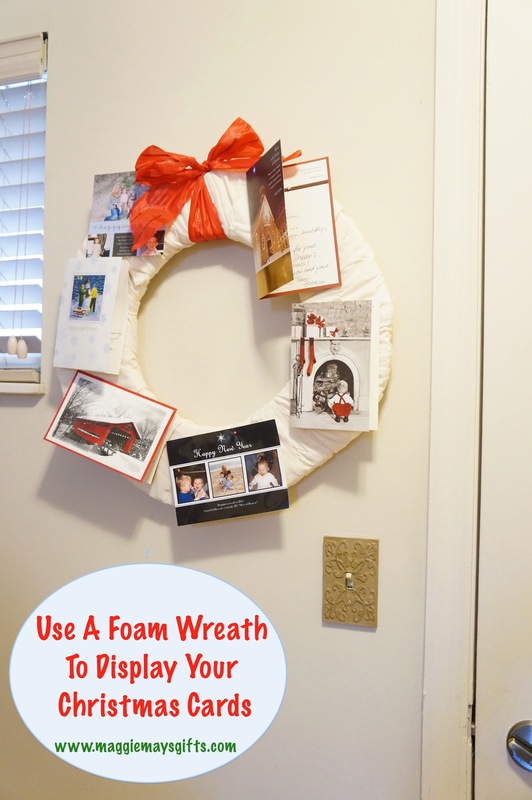 If you bought a foam wreath, you can skip ahead. Draw another circle in the center and cut that out. 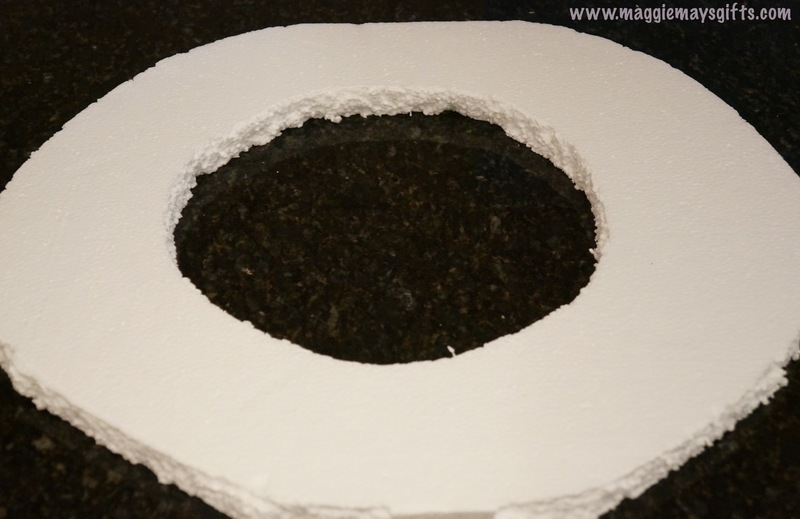 Now you have a Styrofoam wreath base. 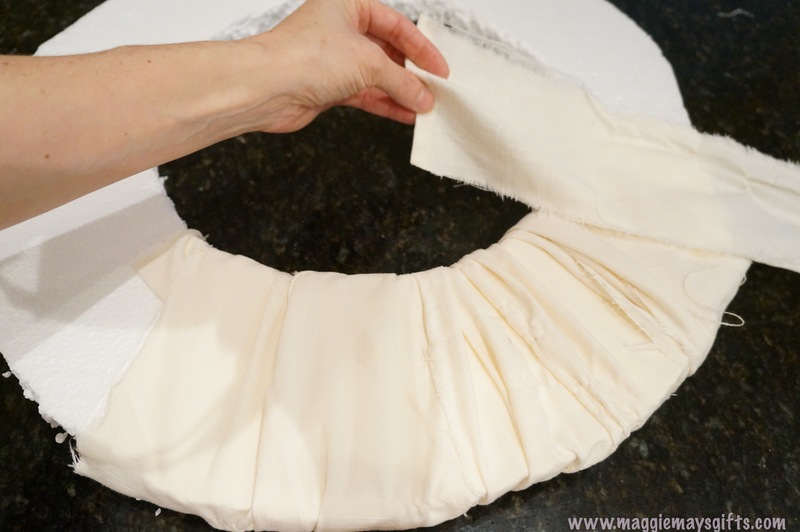 Next, tear long strips of fabric and wrap them around the wreath until it is covered. 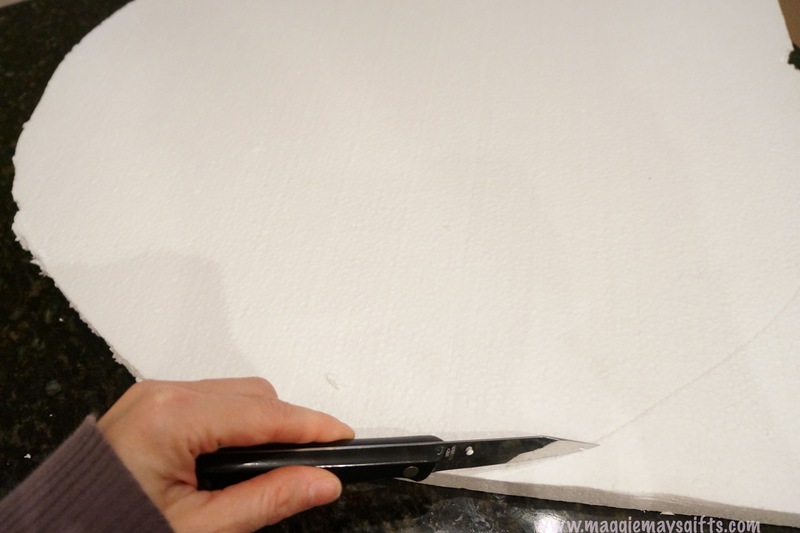 You could even use an old table cloth or sheet. 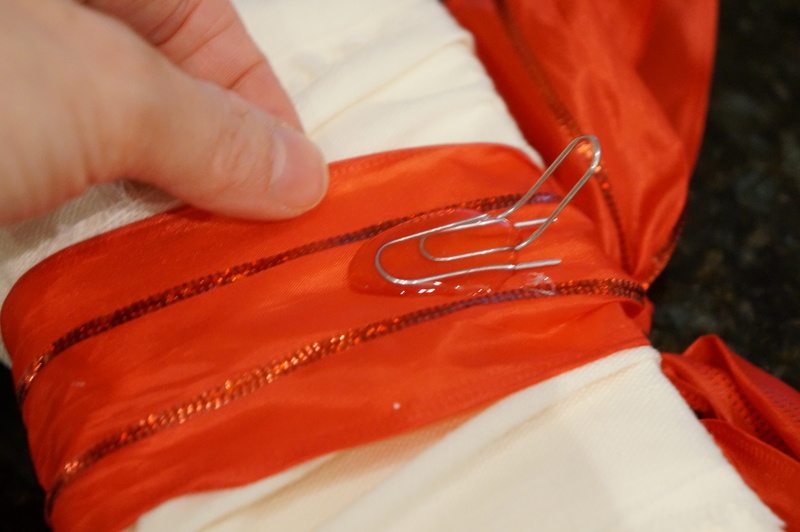 Use hot glue to glue the ends of the pieces down in the back. Tie a bow on the top. And add a hook to hang the wreath. I just bent a large paper clip and hot glued it to the back of the bow. Now it is ready to hang. 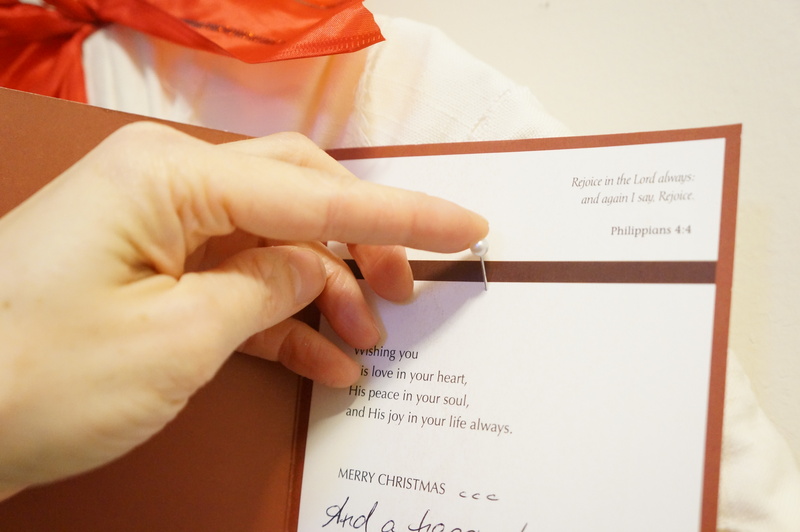 Then using sewing pins, attach your cards right onto the wreath. 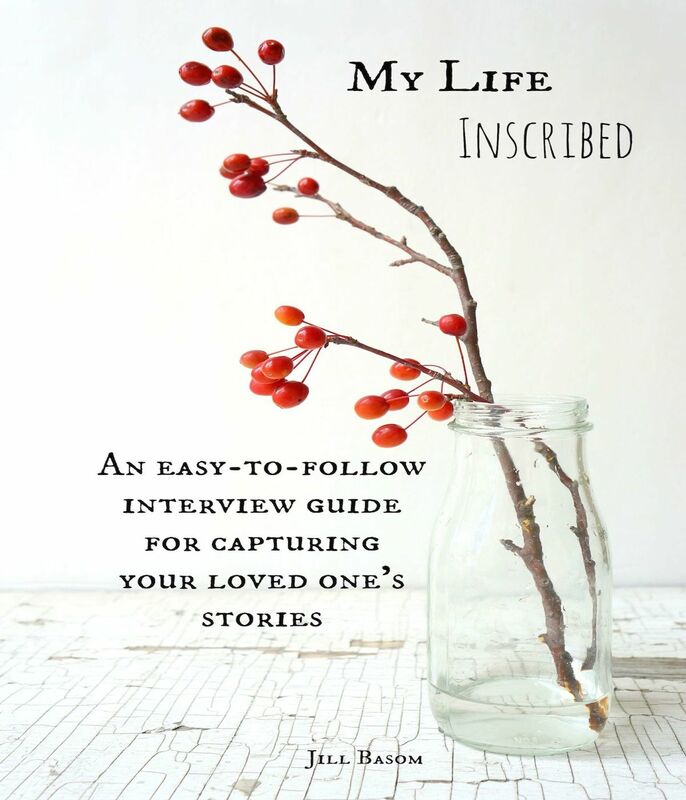 You will probably want to make a few of these depending on how many cards you usually get. Just hang them wherever you like around the house for all to enjoy.